Are you looking for a change when it comes to hair color and you just don't know what to do? You'd like a change, but you want to keep your hair color? Well, if that is the case, you can try to create a more exotic and warmer effect by adding natural looking highlights to your tresses. 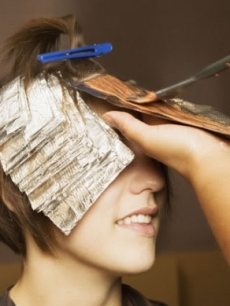 These highlights are great and subtle, perfect for women who don't want an obvious change. The hair will look like it's sun kissed, and natural. The color will be lighter in some parts, creating like a wave effect. These subtle highlights are a great choice for girls who go to schools with strict policies when it comes to appearance. They do not create an extravagant look but a natural, subtle look, appropriate for any type of occasions. The natural looking highlights are lighter with one or two tones than natural hair color and don't necessarily require the use of foil. Foil accelerates the discoloration process and since you don't need to achieve a very light color, you can use a highlighting cap. These natural looking highlights can be applied however you want because there a a variety of highlighting techniques. All you need to do is choose a good hair colorist and explain to him or her what you desire and how you want your highlights to look. You can choose to highlight your own hair by using a home hair highlighting kit you can purchase from your local drugstore or department store. You do need a little bit of skill to get the highlights in the exact place and the exact shade you desire, but it's not exactly earth science either. Make sure you only go one or two shades lighter to make the transition from your natural hair to your highlights very subtle, yet noticeable. Your hair will appear like it has a certain glow which will make it appear even more healthy and gorgeous.